What was supposed to be a fun day for the Pirates in a JV doubleheader at Point University, turned into a barn burner. Nonetheless, after an hour long first inning, the Pirates settled in and took home 2 more wins. CVCC jumped out to an early 3-0 lead, with 3 consecutive hits by John Devine, Kurt Ornowski and Jaylen Smith to start the game. A sac fly from Carson Hughes and a double by Fuzzy Furr paced the fast start. However, the unthinkable happened. Starter Stewart Tyler, relievers Alex Graulich and Carson Hicks surrendered 10 runs on 5 hits, 6 walks and 2 errors. The inning took a total of an hour and fifteen minutes to complete. So the good guys found themselves with a ballgame’s worth of hole to dig out of. After the shock wore off, the Pirates added a single run in the 4th when Isaac Phillips scored on a passed ball. Down 10-4, PU answered right back with a passed ball run of their own to push the lead back to 7. However, what ensued next was just as unbelievable as the 10 run first. The Pirates put 16 runs on the board in the 5th inning, batting around twice, with 13 consecutive batters reaching base safely via a hit or free pass. In the wacky inning, Jaylen Smith hit a grand slam and a triple to go along with his first inning single. The grandslam gave the Pirates a 12-11 lead. However, Caleb Lynn began the scoring barrage with a 2 run single, while Phillips and Devine had back to back RBI singles, which then led to the Smith slam. Carson Hughes restarted the engine with a single, and AJ Willoughby and Nick Poskey delivered RBI hits, while Phillips kept delivering, this time with a run knock. Ornowski added a double, leading to Smith’s triple and Hughes finished things off with another run scoring basehit. When the inning finished, the Pirates had collected 16 runs on 13 hits. Kendall Marshall came on to finish things off and was absolutely magnificent over the next 3 frames, allowing only 1 run on 1 hit in his 3 inning stint. With the game presumably in hand, the Pirates added 2 more runs to be sure to push the final to 22-12. However, the story of the game was Jaylen Smith, who with a single in the first, a homer and triple in the big 5th inning, saw him collect the last remaining piece of the cycle with a double in the 7th. Jaylen became the first Pirate to hit for the cycle since 2010. Game 2 was more of the ordinary variety, as Chandler Newman made his first start in over a month. Throwing absolute flames and pinpoint with his control, Newman went 4 strong, allowing 2 runs (1 earned), surrendering only 2 hits while striking out 7. Down 2-0 after 3, CVCC began their rally, scoring 2 in the 4th to tie the game on a Brent Vallor 2 run, 2 out single. Parker Boyle bailed Newman out of a jam in the 4th and tossed a shutout 5th, as the Pirates exploded for 6 runs in the 6th. The hot hitting Phillips had a 2 run single, while Jayson Cook drove in a run, and Jaylen Smith launched his league leading 11th homerun over the centerfield wall to give Chatt an 8-2 lead. Hayden Siniard tossed the 6th and gave 1 run back to Point before ending the inning harmlessly, while Garrett Fowler was absolutely nasty in the 7th, coming in and striking out the side to preserve the win. The Pirates are now 38-9 and ranked 5th in America and will have the rest of the week off with the conference bye. 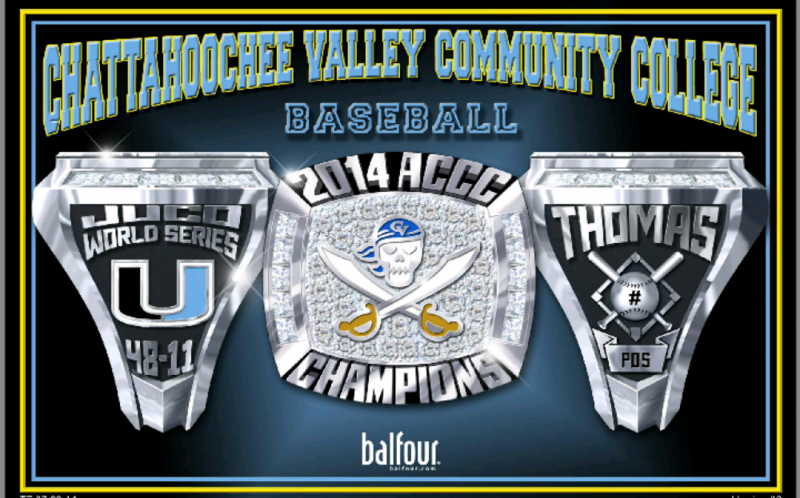 They will return to action on Tuesday, April 25th in a road game to Tifton, Georgia against ABAC.